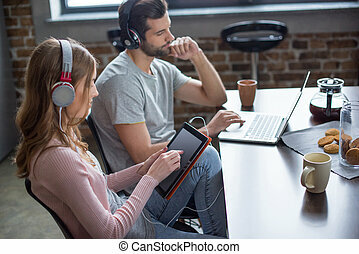 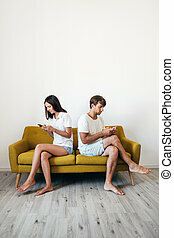 Couple on sofa using devices. 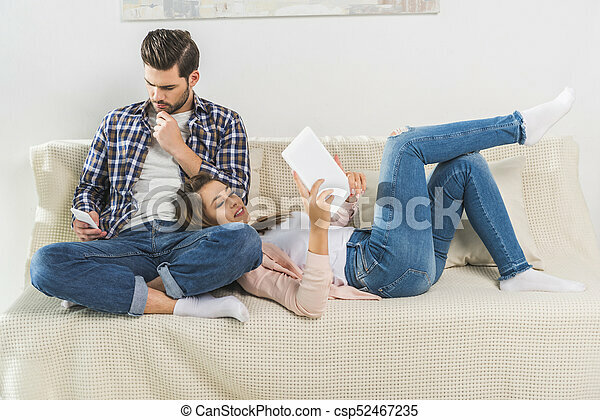 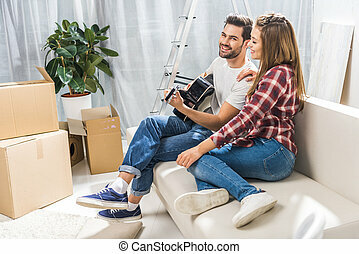 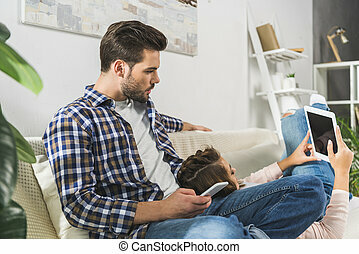 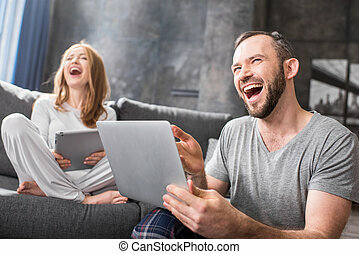 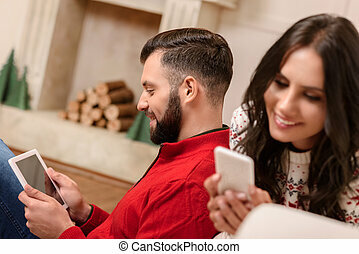 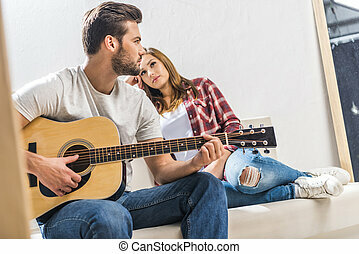 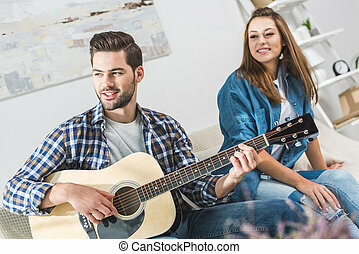 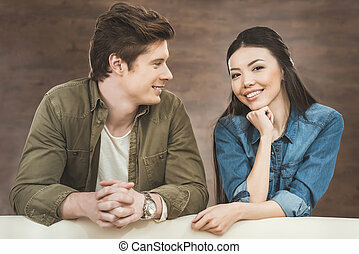 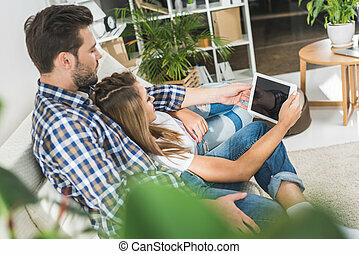 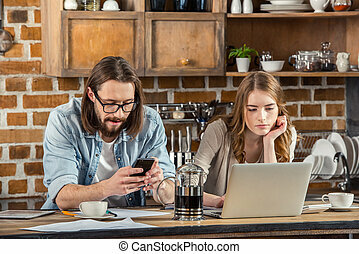 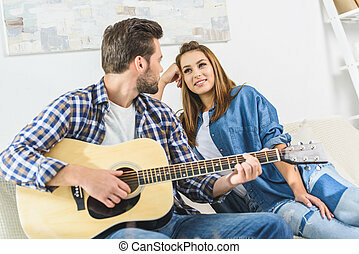 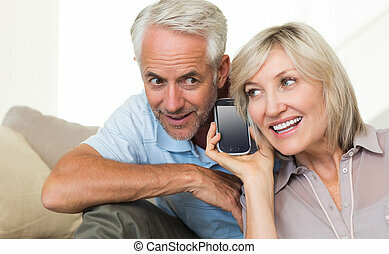 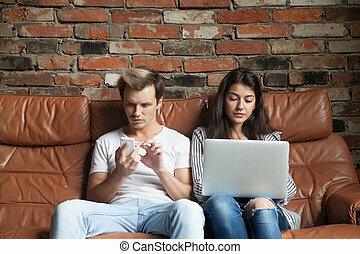 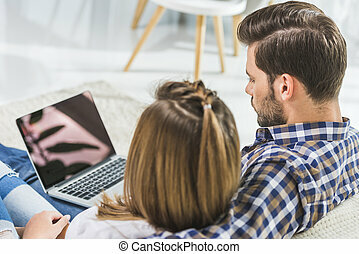 Young attractive couple using smartphone and digital tablet while sitting on sofa. 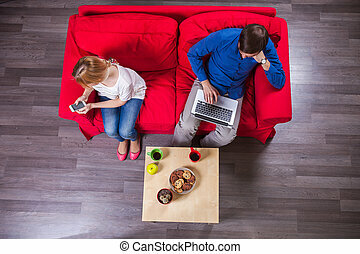 Portrait of happy Asian Couple using Tablet device at home on sofa.